I've been quiet this week. Normally when I am quiet it is because life is happening around me and I just can't find the time to add blogging to that list of things. This time however, I feel as if I have to. Writing is therapeutic to me and if there is anytime I need it, this week is definitely one of them. I feel as if I am barely hanging on by a thread. I don't want to be vague, but with a public blog there are some things that while I wish I could blog about them, I just can't. These things are weighing heavily on me this week. To the point where I feel overwhelmed. It has piled up so much that by today, I realize more than ever how I have failed at being both a wife and mom this week. Those that know me, know that change is not something I handle well. However, it is looking like there are numerous areas in my life that will be changing and changing soon. Change scares me, tests me, yet can also strengthen me and better me as a person. With all that is within me I wish I was one of those people who embraced change as an adventure, but reality is, I am not. Through it all I feel like I am desperately grasping at this thin, frail thread that is dangling in front of my face. The thread that is engraved with the words of "I will carry you". So I am doing my best to throw my hands around that, dig my nails in, and hang on until He sets me down where He wants me to be. I am so right there with you. 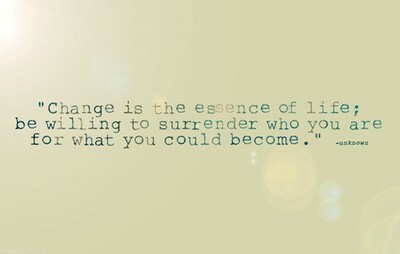 I don't like change either and we are in the midst of big decisions and change too. It scares me. I feel as though that thread that is dangling...just slipped away. Thank you Salena! It helps to just know I am not alone! Ohhhh, how often I've sung/cried those words! I know that hymn well as I had a dear elderly woman in my life who loved to sing hymns. What incredible words to live by!! Thanks for sharing Melissa! !